The cave of Lascaux -- the "Sistine Ceiling of the Cave Man" -- is a spectacular window into the shadowy, powerful animal world of the Old Stone Age, some 17,000 years ago. The chance discovery of two boys in France in 1940, the cave was soon overwhelmed by tourists and in the early 1960s showed inescapable evidence that its radiant frescoes of bison, aurochs, horses, and deer were dimming with molds and fungi generated by bright lights and the warmth and breath of countless visitors. Lascaux was sealed in 1963 by the French government, which later commissioned the distinguished prehistorian and television producer MARLO RUSPOLI to create a record of its now permanently inaccessible wonders. In the early 1980s, hemmed in by infinite precautions, Ruspoli carefully filmed and photographed Lascaux. 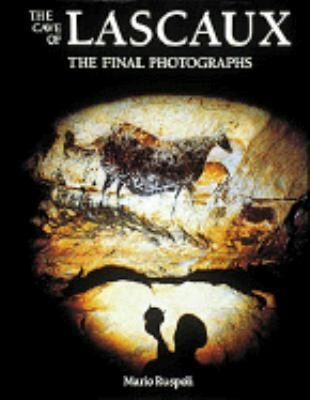 Here, complete with discussions of the content and meaning of the frescoes by Ruspoli and other experts in prehistoric art, is the thrilling result: the last view of the Stone Age life and world of Lascaux.